In this paper, we present an overview of the evolution of the discontinuous Galerkin methods since their introduction in 1973 by Reed and Hill, in the framework of neutron transport, until their most recent developments. We show how these methods made their way into the main stream of computational fluid dynamics and how they are quickly finding use in a wide variety of applications. 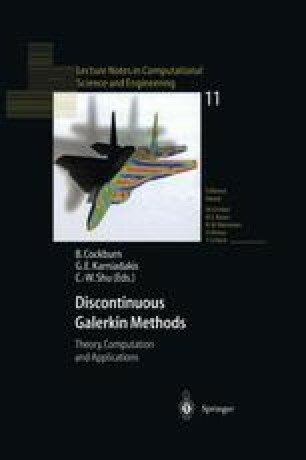 We review the theoretical and algorithmic aspects of these methods as well as their applications to equations including nonlinear conservation laws, the compressible Navier-Stokes equations, and Hamilton-Jacobi-like equations.